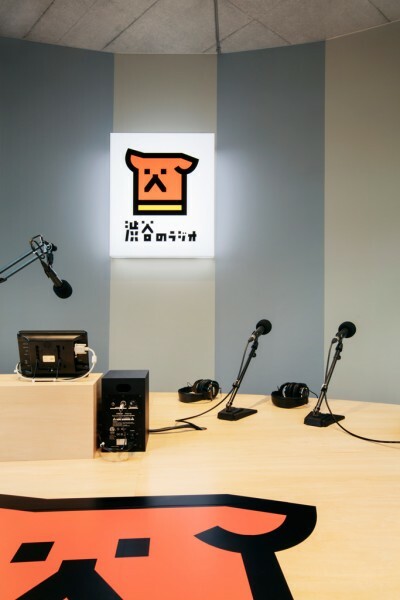 We performed the interior design for the studio of "SHIBUYANORADIO", a community FM station broadcasting to all of Shibuya Ward. 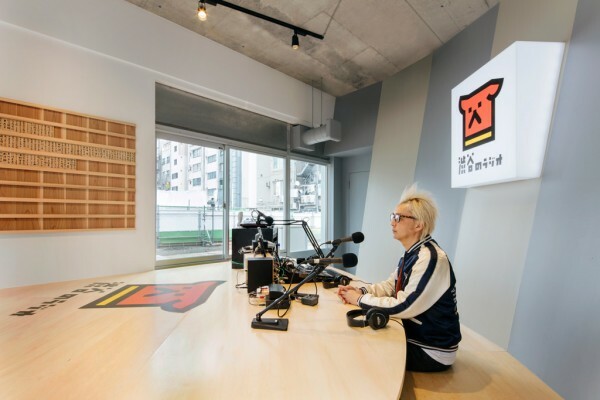 Helmed by creative director Michihiko YANAI, the burgeoning station features a lineup of edgy A-list personalities composed of artists, actors and cultural figures. 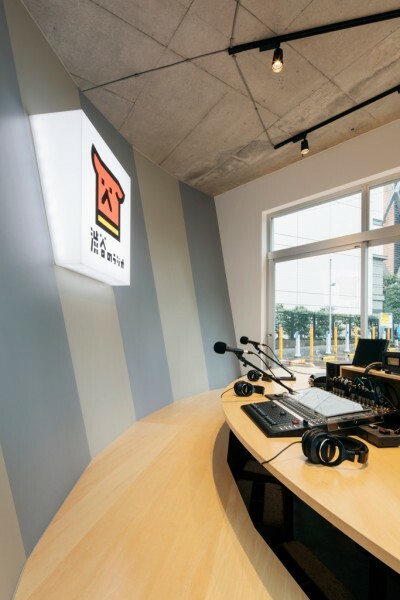 The studio is intended as a "School of Radio" serving as a place for people to gather under the "Diversity, Shibuya City" motto in order to greatly expand the potential of the local community and broaden the concept of radio. 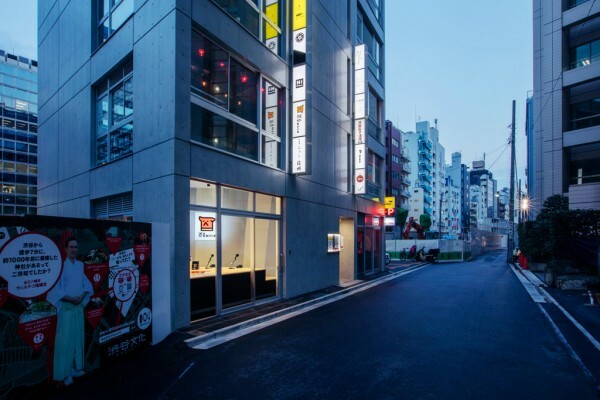 The studio was setup along the street that extends from the train station as part of an initiative to redevelop the area surrounding Shibuya Station. It is in this environment directly facing the road that we strived to create an open studio in proximity to the city. Framed by beveled walls, the studio features a wide fan-shaped table around which guests can sit in a row like they would at a traditional low table over a recessed floor known as a hori-gotatsu. 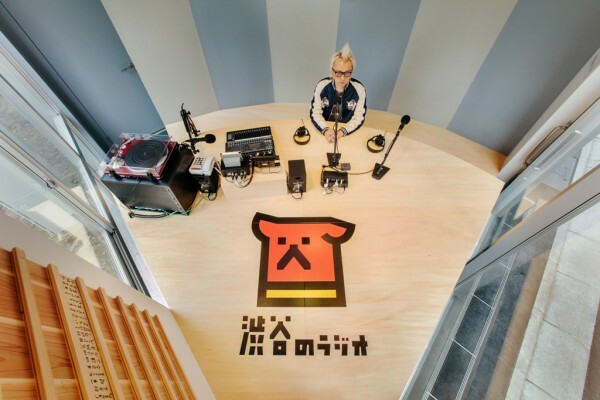 Moreover, the radio station aims to gradually take root in the area by soliciting citizen founders and listing their names on the station's walls with wooden plates. Besides the main studio, the station comprises a broadcast recording studio and a greenroom. 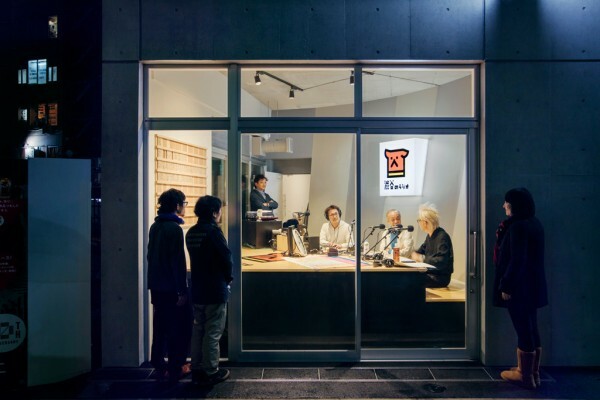 The arc described by the studio table appears to extend into the street like a big round table, thus giving the impression that people surrounding the studio during a broadcast are sharing the same table and taking part in the program. By having the studio act as a point of contact with the city, we sought to create a radio station that would be the embodiment of the community.